Hibernation is a great way to cut down on the computer’s power consumption when it’s not in use. It also helps save battery on the laptops. Hibernation does consume memory on the hard disk, so you can save some space by disabling it, if you do not use this mode often. 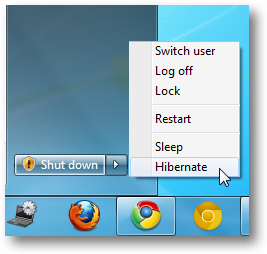 There are a couple of way to enable and disable the Hibernate option on your Windows 7 PC. You can choose the method that you find easier. 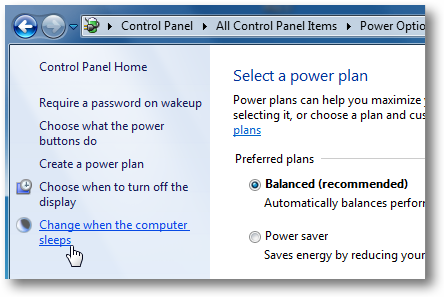 To manage the Hibernate option go to the Power Options in Control Panel. Go to: Start > Control Panel > Power Options. In the Advanced Power Options window look for the Sleep option. Once you find it, expand the Sleep tree then expand Hibernate after and change the minutes to zero to turn it off. You can also specify the amount of minutes you want to pass before it goes into hibernation. 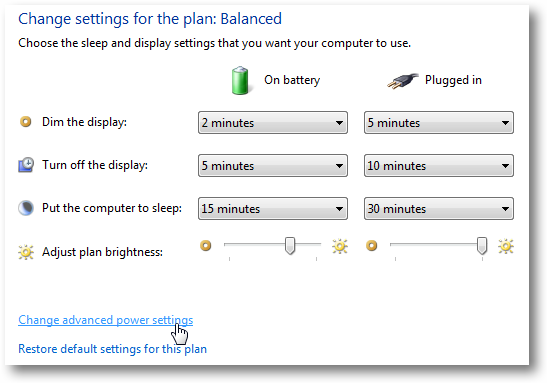 For a laptop you would get an extra option for the battery. On a desktop PC you would only see one option. When you have made your choice, click Apply and Ok and close any open windows. You would now see the Hibernate option in the Shut Down menu. 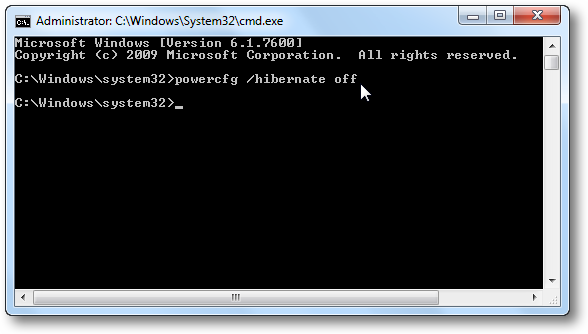 The Command Prompt is the quicker way to enable or disable Hibernate option on the computer. Click on Start and type CMD into the search box and it will be listed under programs. 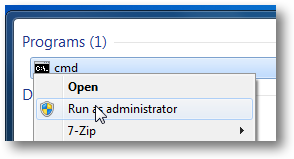 Right-click on the icon and select Run as administrator. In the Command Prompt, type the commands shown below to enable or disable the Hibernate options. While sleep puts your work and settings in memory and draws a small amount of power, hibernation puts your open documents and programs on your hard disk, and then turns off your computer. 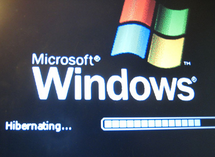 Of all the power-saving states in Windows, hibernation uses the least amount of power. 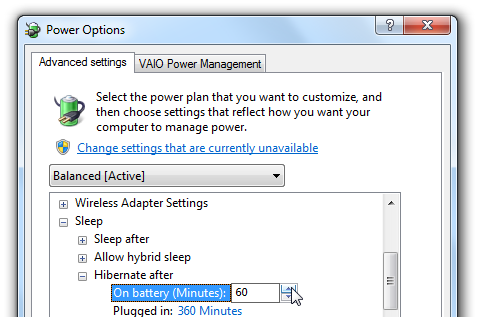 On a laptop, use hibernation when you know that you won’t use your laptop for an extended period and won’t have an opportunity to charge the battery during that time. If you prefer to turn off your computer and not use the Hibernate option, you can disable the Hibernate mode to gain a bit of extra hard disk space. On a hard disk of 500 GB you can save about 5GB of space if you turn off hibernation. So it makes sense to keep this option OFF if you do not use this mode and save some space.